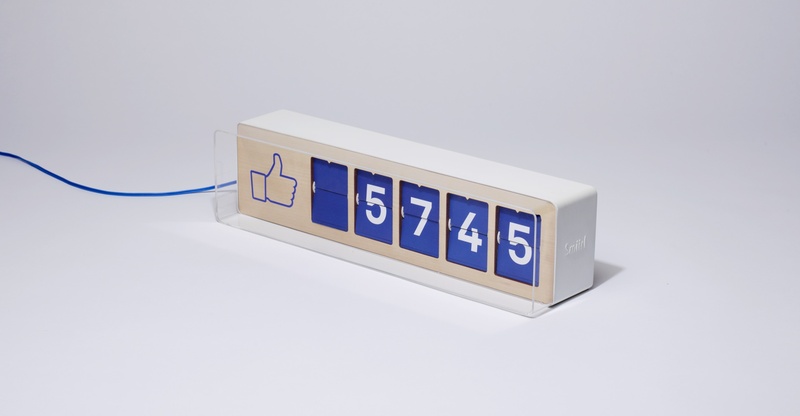 This new Facebook Like counter from http://www.smiirl.com , has long been in the making. Several DIY versions of this have surfaced, and we even proposed a version of this while I was working at R/GA. As technology moves things into the digital realm, there is a natural counter culture that wants to express these digital forces as physical analog experiences. What other instances can you think of where experiences born in digital become novel by moving to analog? 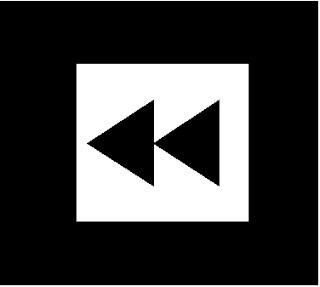 The “rewind” buttons remains, but the stop button is no longer with us – it has been replaced by play/pause. Although there is nothing to rewind anymore ( media wise ) some legacy terms will be here to stay. Other functions like the stop button are gone because the playhead that used to be lifted off of cassette tapes are no longer there. No stop is needed. There is no longer a difference between pause and stop anymore in a media context. So whether thinking about the floppy disc icon on your computer, or something as ridiculous as America not using the metric system, things that we design sometimes stick around. I will end this post with a message from Green Architect William McDunnough. Somethings we create will temporally be here for less then a moment. But the question of human intention and quality design can differentiate if something becomes a legacy going forward or a legacy in the history books. One is timeless, and the other is dated. Yesterday on the Caltrain, I heard a bunch of teens discussing their “Mobile Data” Allowance. They ranged from having 3GB of cellular data, to being on a family plan of 4CB, etc. One child remarked that he had already used up 90% of his plan, and that he would have to pay his parents if he or his sister used up the rest before next week. What I found surprising is that how access to data in this age is often talked about as an asset. I bet that almost all of those kids would not be able to live without 3G so they could watch their youtube clips on the train. If given the choice between money for a data plan, or a data plan, they would pick the 2nd. The insight here is that users are open to many forms of compensation. Often data, access to scare content, or other perks can be just as good as money. Everyone loved House of Cards. It was nominated for an Emmy, which is historical. New programming series on Netflix and webisodes across the interwebs are challenging the viewing formats we take for granted. However, our obsession with binge consumption of media only works if a few media properties do this. In order for these new series to be successful, there must be enough original programming that is time released. If every show and movie was released on Jan 1st, people would go nuts by March. Or would they? My hypothesis is that people need some temporal benchmarks to enjoy certain programming in a communal way. If every show was released in full on one day, the system would implode. The larger question is how have those communities splintered off into smaller subgroups vs. popular mass groups needed for advertising? Would advertising that fuels TV be happy if all on demand content replaced mass cable? Where does the psychological impact of scarcity of media overlap with the politics & business of ad buys? Many households already only do streaming content. Other households have streaming services in addition to core cable programming. But, the system has to change – technology and the pull of consumers is moving faster then cable companies want to go. It will be interesting to see how this ecosystem changes in the next 5 years. As many of you know, I have just joined the team at Revel Systems (www.revelsystems.com) . I am super excited to join a top notch startup who is changing the way the service industry is run. I am fortunate enough to work with three of my favorite things every day – tech, data, & food ( grocery/ retail service ). One thing that really drew me to this new job was the opportunity for data to influence the restaurant industry. From my time at WCG ( now W2O ), I learned so much about how analytics could drive a strategy for marcom or engagement. The real epiphany though of the “data” buzz words we have been hearing about over the last year though are really about tracking assets and being self aware of your decisions to simply forecast your own decisions and refining your plan for better quality. I am now a converted “foodie.” I dream of Michelin Star restaurant dinners once a year, and have begun to appreciate a good wine or the different notes of a seasoned dish. That’s the artist in me. However, the business side of me understands that their is a value of that dish – both perceived/ earned value and actual costs per plate. The balance of the art and business of a restaurant is what I find so intriguing. People pay for the value, but dont mind the cost. The dream of the chef ( artist ) is to be able to produce tastes on a plate that can inspire the critic, but also make the account manager happy with the books. Understanding your menu / ingredient data can help justify how you shape your dishes, but also understand how you are using ingredients, and where you can be efficient with your assets. Same applies to mixologists in the bar industry. I feel that people are afraid to embrace data in that people may not want to know the cost of a slice of tomato, but really, once you understand the data, you have the power to make better decisions. It’s empowerment. People will always pay for art and an experience. Its just nice to be able to understand and justify the math behind art. I love what I am working on with the Revel team. Its amazing to see what you can passively track from a POS system. Let me know if you have any contacts in the service industry who are open to hearing about how data analytics and a sleek POS system can change how you do business.